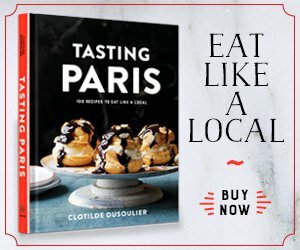 What’s a Baguette de tradition française ? 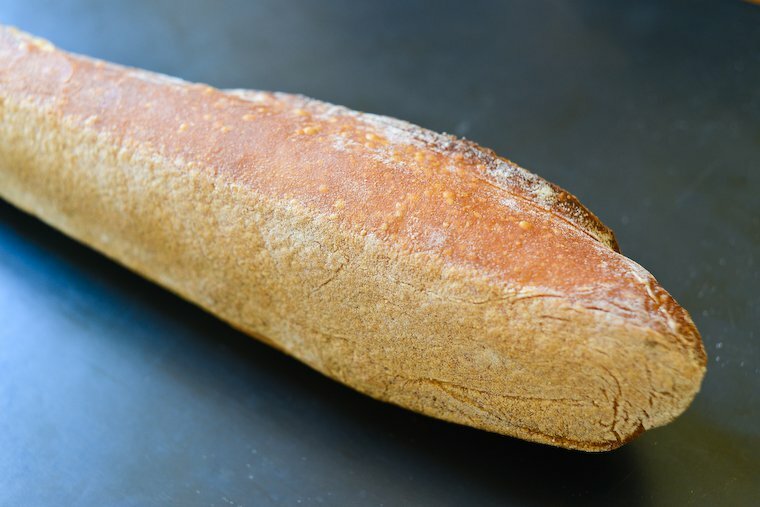 French bakeries offer several types of baguettes. 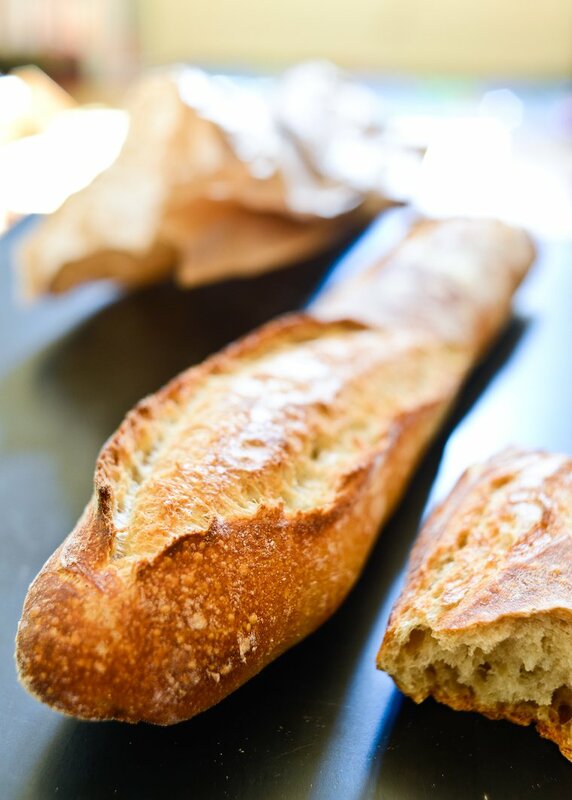 The Baguette ordinaire, costing less than one euro, is made with quick-rising yeast and low-cost white flour. It is fine for sandwiches, but doesn’t offer much in the way of flavor complexity, and goes stale within a few hours. 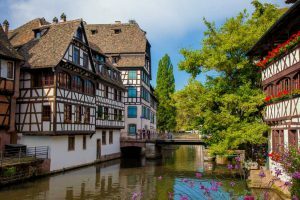 The Baguette de tradition française, on the other hand, is made according to rules established by an official decree voted in the early nineties. 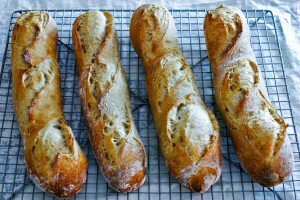 These baguettes must be prepared with just flour, salt, and water — excluding any kind of additive or preservative — and leavened with a mix of yeast and natural starter. 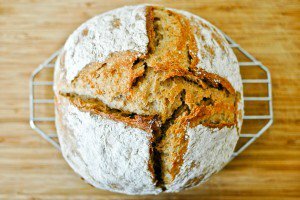 They can never be frozen, and are typically the result of a slow fermentation that allows the development of many more flavor compounds. 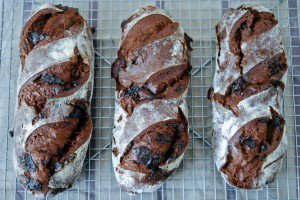 Beyond the ordinaire and the tradition, individual bakeries will create their own specialty baguettes: garnished with seeds, dusted with cornmeal, spiked with rye flour, or even colored black with squid ink. 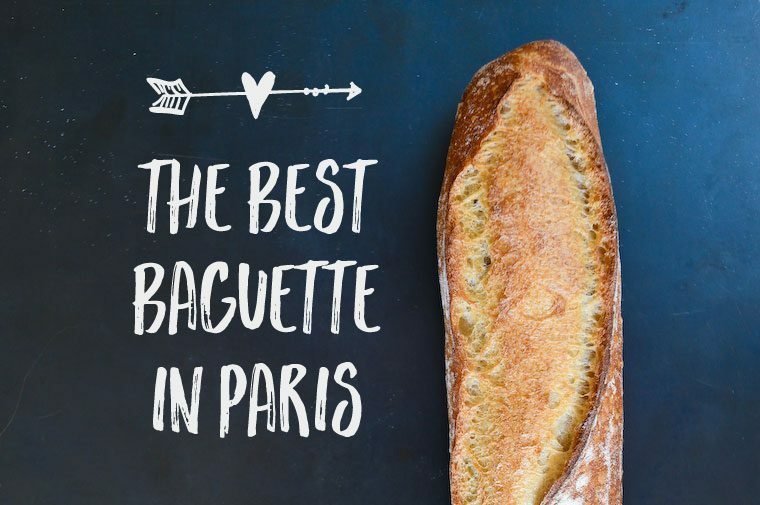 What are the markers of a superior traditional French baguette? I judge a good Baguette de tradition française by several elements. 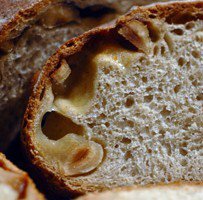 The crust should be nicely browned: in baking, color is flavor, and if you underbake bread you miss out on the flavors that develop when the flour caramelizes in those last few minutes of baking. 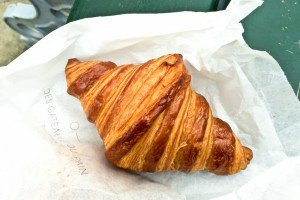 The crust (la croûte) should be crisp, and it should “chirp” when you press it close to your ear. The ridges on the top, called grignes, should be sharply defined and clearly raised. 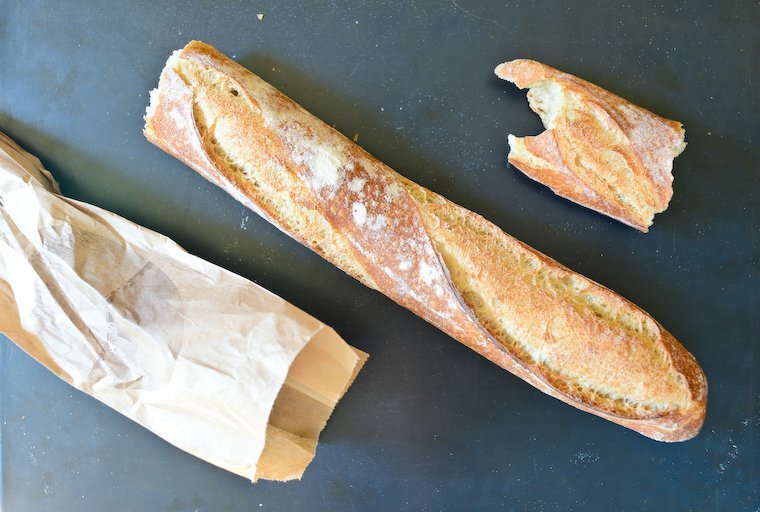 The underside of the baguette should be flat and greyish, which indicates it was baked directly on the stone floor of an oven. 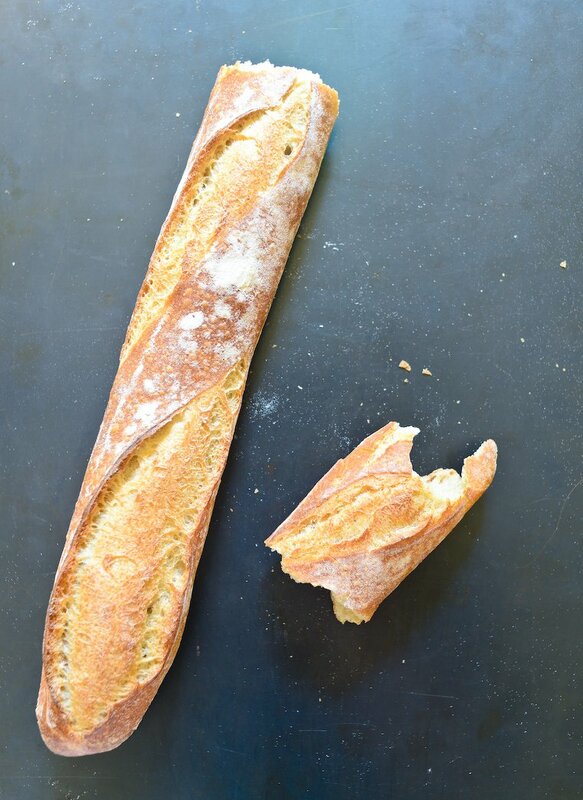 This is the marker of an artisanal baguette, because it takes a trained artisan to do it this way. A dotted or honeycomb pattern indicates it was baked in a mold or on a conveyer belt, which are signs of a semi-industrial or industrial operation. 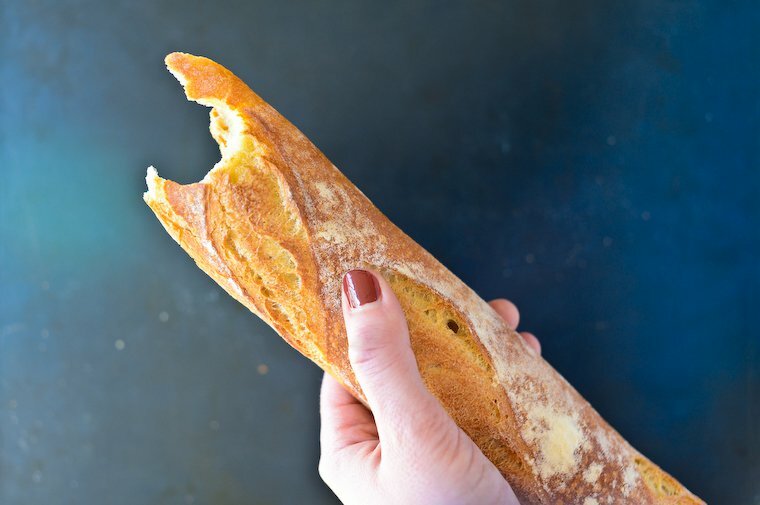 When you tear off the tip of the baguette (called le quignon or le coude, the elbow), the crumb (la mie) inside should be ivory white, open, with uneven air pockets and an irresistibly fresh smell, milky and floral, that makes your mouth water. 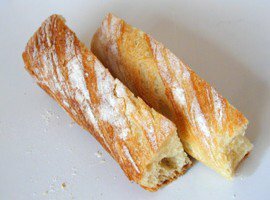 A good baguette has a nice chew to it, and offers a great contrast of texture between the robust crust and the smooth, elastic crumb. 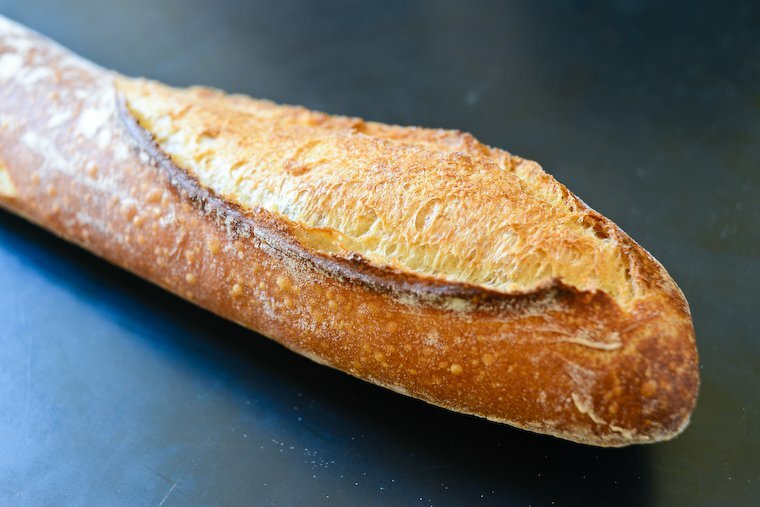 A good baguette will keep well until the next day, wrapped in a kitchen towel, and its flavor will evolve over time, greeting you with a fresh nutty whoosh when you unwrap and toast it in the morning. PS: We cover all of this and much, much more during my private walking tours. 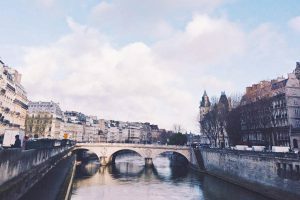 If you’re planning a trip to Paris, please get in touch! 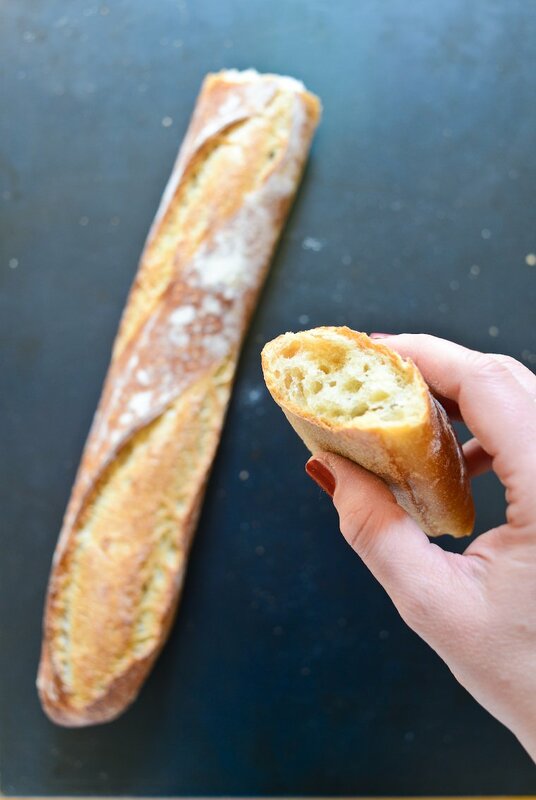 PPS: While you wait for your next trip, make your own baguette using my sourdough baguette recipe. PPPS: Maybe some cheese with that baguette? Sami Bouattour, Boulangerie Brun: 193, rue de Tolbiac, Paris 13ème. 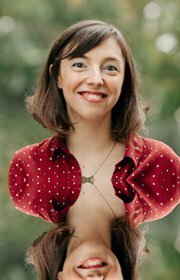 Khemoussi Mansour, Aux Délices de Glacière: 90, boulevard Auguste Blanqui, Paris 13ème. Tanguy Lahaye, Boulangerie du Pain: 20, Boulevard des Filles du Calvaire, Paris 11ème. Gontran Cherrier, Boulangerie Gontran Cherrier: 22, rue de Caulaincourt, Paris 18ème. Abdallah Lakoum, Boulangerie Bichon: 2, rue Cail, Paris 10ème. Gilles Levaslot, Les Gourmandises d’Eiffel: 187, rue de Grenelle, Paris 7ème. Mahmoud M’Seddi, Boulangerie 2M: 215, boulevard Raspail, Paris 14ème. 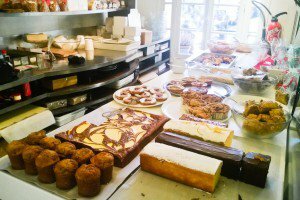 Ismaël Sylla, Le Grenier à Pain: 52, avenue d’Italie, Paris 13ème. Swan Casenove, Boulangerie Tembely: 33, rue Myrha, Paris 18ème. 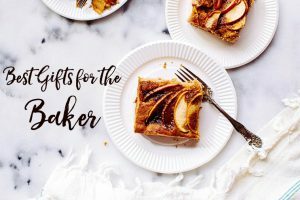 * To my knowledge, we have yet to see a woman baker win the competition; it remains a very male-dominated occupation. Only a matter of time before we have that to celebrate!